Just spotted a photo of one of these LPs come up in a recent memories post, as I picked up a copy of this based on the cover art alone during my last trip to Boston a year or so ago. Here we have both vinyl releases by Emerald Vein, aka the solo project of Boston-based musician Robert Young. 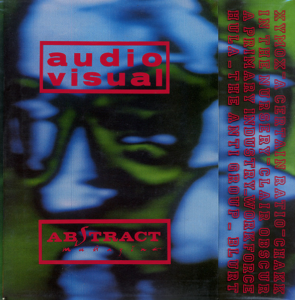 Previous bands of Robert’s included alternative band Uzi and post-punk band A Scanner Darkly, whose 1988 LP This Is the Way serves as a solid Sisters of Mercy-esque guitar record. 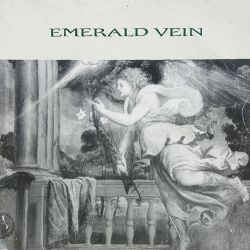 As for Emerald Vein, Young took things in a more ethereal direction, mixing a few post-punk tracks in with neoclassical and dream pop influences. Kind of my sweet spot for when the air has a bit of a chill in it still. 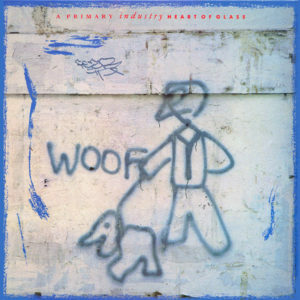 Both of these LPs are unique listens, calling the likes of In the Nursery, Into a Circle, Breathless, Mark Renner, Eden, Black Tape For a Blue Girl, and maybe even a little Gilmour-era Pink Floyd to mind here and there. Land of the Living has a track or two with some co-harmonies from Colleen Nichole Jacobucci, and has an overall more experimental touch but is still very much in the vein of the first LP. Terence Donahue, drummer of A Scanner Darkly, also performs on a handful of tracks across both releases. Donahue was also involved with IPR stalwarts Deception Bay. Here’s the details for both LPs. Note: will be taking better quality album photos shortly, please stand by! Robert has also made a digital download of his favorite cuts from both albums available here, if you’d like to upgrade some of the tracks from vinyl rips to crystal clear digital copies. Definitely worth grabbing the link above for the full discography, and even though Robert’s Bandcampo is pay-what-you-want, I deeply encourage purchasing the tracks and supporting Young’s work. Let’s get some guitars into the mix, shall we? 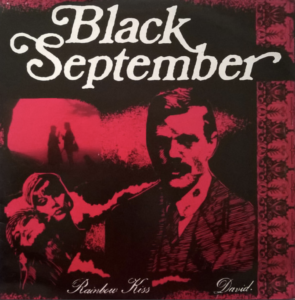 Here’s a relatively cheap, but nonetheless obscure single from UK band Black September, who released this one slab of wax in 1986 via Lost Moment Records (Jesus Couldn’t Drum, Skin Side Out, B-Z Party, etc.). The band were a four piece, led by Ian Hunter. While most folks might recognize the name from Mott the Hoople, though I’m not familiar enough with their catalog to confirm if this is indeed the same Ian Hunter, or someone with the same name. Otherwise, the music sounds suspiciously close to Death Cult, with a slightly more indie/commercial vibe. Other touchstones might include early Gene Loves Jezebel, Zero Le Creche, or Into a Circle – slightly anthemic, guitar-driven tracks with sweeping synths, through and through. I tend to prefer the b-side, but both tracks aim to please. As of now, the single is a couple of bucks through the usual channels, so if you dig it, it’s well worth picking up! Picking back up where our last post left off, here’s an album that’s been near and dear to my heart for many moons, hailing from the same general area and scene as Drowning Pool, Abecedarians, etc. While there seems to be a lot of activity in the area, there doesn’t seem to be as much love out there for Fourwaycross, who began in 1984 in Los Angeles. Though the main core of the band was Tom Dolan, Biff Sanders, Steve Gerdes and Courtney Davies, the band has shifted lineups and styles seamlessly over the years, most notably drafting Brad Laner and Beth Thompson, who would then go on to form Medicine upon the band’s demise. Despite the lineup changes, the original core of the band offered up what is in my opinion, their strongest work, 1985’s self-titled cassette. The release is haunting, singular, and transcends genres to allow for neo-classical passages, Savage Republic-esque tribal post-punk, ethereal instrumentals with flutes in tow, and psychedelic, haunting folk. 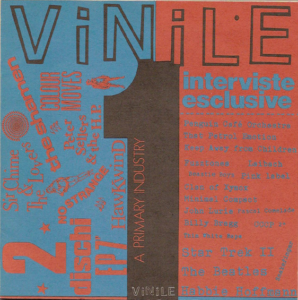 The cassette was reissued several times over in a variety of formats, including a vinyl pressing (affordable and essential), cassettes with alternate artwork, and even a CD-R issue in 2011 as interest in post-punk music was thriving. That said, this rip comes from an original cassette from 1985, in pristine condition. This is the band’s earliest material, not counting a posthumous release of outtakes, demos, and rare tracks on Independent Project Records, released as Pendulum. 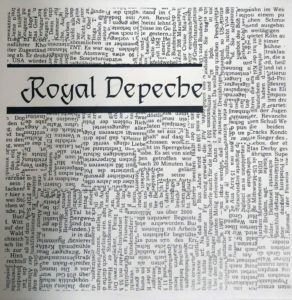 The band would issue three equally strong albums following this debut, and have released a handful of excellent singles in the last year featuring the original core lineup. You can listen and purchase the new work via the band’s Bandcamp, and you can also find them all on Facebook. Courtney and Steve have also launched a new project called The Roogs, who are currently working on material. Are y’all down with the sickness? If so, this one is a request for the 1987 comp. from Drowning Pool, the nu metal bandthe post-punk band from Los Angeles, California. The band were also featured on the Ultraviolet compilation I posted last time around, so the name should certainly sound familiar… You may also recognize the band via their debut single under the name Landscape of Sound, which has also been featured here previously. This particular double LP is a compilation of sorts, collecting a series of rare tracks alongside centerpieces from their four major LPs. This LP may have been shared in the past, but certainly at a low bitrate according to all sources I could find. As such, it’s an excellent introduction point AND a solid record to fill in the gaps, even if you have their other LPs in your collection. 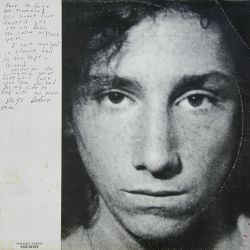 This record was released in 1987 via Nate Starkman and Son, an offshoot of Independent Project Records. It’s actually some small mystery they weren’t officially on IPR, as the sound and style and location all line up. They would have certainly been a welcome addition to the roster. 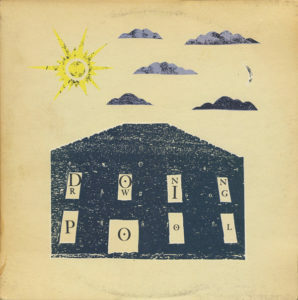 For those unfamiliar with Drowning Pool, there’s lots to love here across the post-punk spectrum. On paper, the band come off like a much more sinister and experimental take on Dead Can Dance, with tribal passages and ethereal soundscapes nestled among pure post-punk fury and avant-ghetto chaos. I’m also reminded of In the Nursery’s earlier, more primitive records. Of course, apt comparisons could also be made to local scene bands Autumnfair and Savage Republic, as the band no doubt ran in similar circles. Also seems fitting to post a band from LA, as I’ll be landing there tomorrow to kick off a tour with Public Memory, who I’m playing synths with these days. Perhaps we’ll cross paths? Check here for full list of west coast dates, and come say hi if you’re in town! Fresh off the needle, here’s an updated rip of a favorite US post-punk compilation from ’89, released on Sketch Records. 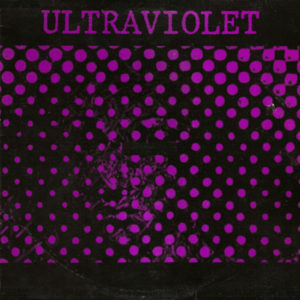 Ultraviolet collects nine tracks of California-based post-punk and new wave tracks, several of the bands who were seldom heard from again. The first two bands are likely the most well-known of the lot, as both Abecedarians and Drowning Pool (not the nu metal band of the same name, mind you) have respectable cult followings. Abecedarians of course, have been covered here before a handful of times (and have their debut 12” release on Factory Records), and Drowning Pool’s body of work is incredibly enjoyable, in line with many of the other bands from the time period (Red Temple Spirits, Savage Republic, etc.). The most notable standout, and one of the best reasons to own this compilation is for the track “Eleven Is Waiting” by Homeland. Not only is the song an absolute corker, an five-minute post-punk workout with haunting melodies, a chorus-drenched bass line, flutes, and a tempo that changes tempos near its close, it’s also a curious footnote to the Brian Jonestown Massacre story, as Homeland was singer Anton Newcombe’s first project. The band released one excellent demo cassette in 1989, which has since been reissued on CD-r, as has a slew of unreleased work including additional demos and live tracks, all of which likely exist due to the Brian Jonestown Massacre’s indie success over the years. Here’s a fresh rip of a forever classic, hot off the needle to soothe your end-of-summer anxiety. 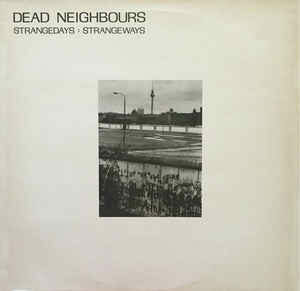 Here we have the second (and final) LP by Scotland’s Dead Neighbours, released in 1985 and featuring eight tracks of driving post-punk bliss. For those unfamiliar, Dead Neighbours began as a Cramps-inspired psychobilly band, featuring the powerful baritone vocals of Craig Lorentson (RIP) at the forefront of their sound. 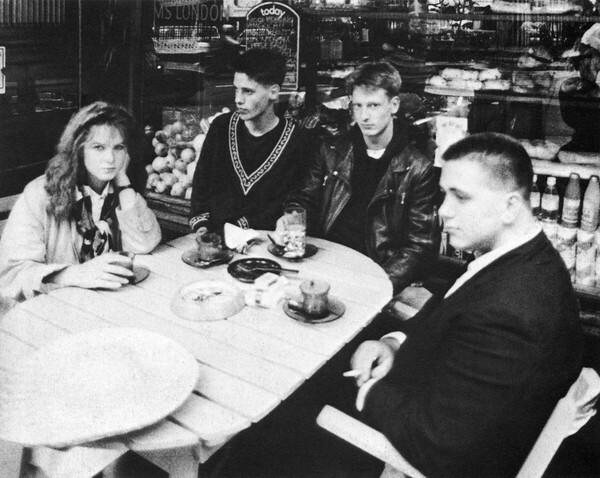 The band was managed by Brian Guthrie, brother of Cocteau Twins guitarist Robin Guthrie, who helped develop the band’s cult following. During the recording of their second LP, bassist David Steele departed the band, and the Guthries encouraged Will Heggie to join to complete the record. Heggie, freshly departed from the Cocteau Twins after a tumultuous tour supporting Garlands, was happy to oblige, and completed the record and stayed on to work on new material. Heggie’s incredibly charismatic playing instantly changed the dynamic of the band, and after swapping guitarists for Stuart Everest, the band decided to rechristen themselves as Lowlife, who would go on to release five highly acclaimed albums and a handful of EPs until their breakup in the mid-90s. With that in mind, the shift in sound is already present on this LP, a clear shade of difference from their 1984 debut Harmony In Hell. Heggie’s energy can already be felt, and the songs appear harder, faster, and stronger, despite shirking much of their psychobilly roots. There’s still a little of that sound present, but just enough to keep things interesting. Lyrically, the album is very focused on mental illness and suicide, especially apparent on opening track “Wreckage of Your Mind” and the final track. Also worthy of note: closing track “The Cowards Way” [sic] was re-recorded by Lowlife and a more lush, dreamier version kicks off their 1986 debut record Permanent Sleep. If you HAVE heard this one before, hope you enjoy a fresh 320kbps rip of this classic. I don’t happen to have their first album Harmony In Hell NOR the 1985 compilation Wild Women Vs Rubber Fish! in my collection to provide new rips, but hope this one satiates your ears for now. Either way, feel free to pull this down and crank it loud! 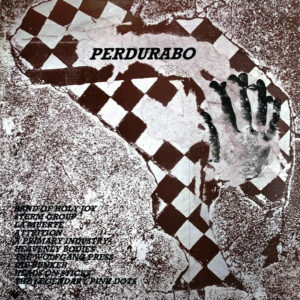 Here’s an excellent UK DIY post-punk gem from 1982, well within the golden era of bands with this sort of sound. 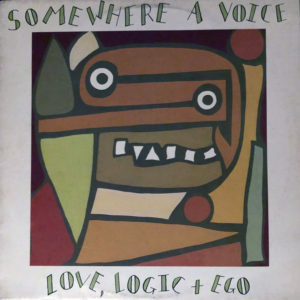 Somewhere A Voice were based in London and existed for two short years, with just this album and an appearance on Compilation 1 to show for their time together. The band were primarily a three piece, as their original drummer left before recording the LP and was subsequently replaced with a session musician. According to a rather lengthy discogs bio, the melodic interplay on the record is a byproduct of the band’s relative inexperience, with Hillary Dron’s basslines often mimicking the vocals while the synth provides alternate leads. Dron also handled the artwork for the LP. That all said, this LP is a great listen from front to back, chock full of Factory-minded post-punk, complete with skirty rhythms, icy synths, and the occasional sax. The closest touchstone for me is the equally obscure Phones debut Two Hearts, Two Heads, but this LP is a bit quicker on the tempo overall. Perhaps a kinder, gentler Swell Maps? Either way, hope y’all enjoy! Here’s an oldie but a goodie – a 7” that has been ripped and shared before but always at a curiously low bitrate. 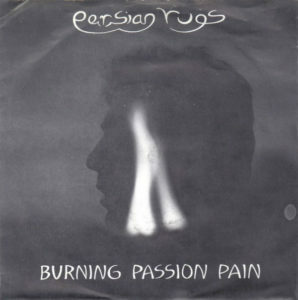 It’s a rather affordable sliver of new wave-y/dreamy post-punk, the first in an otherwise hit-or-miss catalog from UK band Persian Rugs, released in 1981. 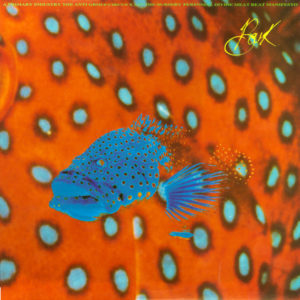 The a-side is a very catchy affair, but it’s the b-side that not only is the winner of the two tracks for me, but also has a direct lineage to classic 4AD, in a very unsuspecting way. So the story goes: When Ian Masters left Pale Saints to form Spoonfed Hybrid, the band continued on with co-vocalist Meriel Barham taking the reigns. Their third and final record Slow Buildings is a divisive affair, but has one standout track, the immaculate, powerful, and weepy “Fine Friend,” which was released as a single. If you’re familiar with that cut, you may immediately hear shades of Mazzy Star’s “Fade Into You” throughout, and no doubt, there is some correlation there as well, but if you listen to “Poison in the Airwaves” and “Fine Friend” back to back, you can’t miss the similarity. 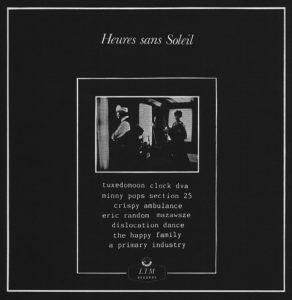 This was completely intentional, as 4AD’s Ivo-Watts Russel pitched the song to Pale Saints as a cover, in the vein of a This Mortal Coil-esque retelling. Rather than cover it directly, the band rewrote the lyrics, kept the chorus melodies, and added the entire second half of the song to prove their own power was still intact. I love this story, love both tracks, and adore that this otherwise obscure nugget is woven into the fabric of my favorite record label, an easter egg that most still are unaware of. With that in mind, please enjoy this single, and have a great weekend, y’all! 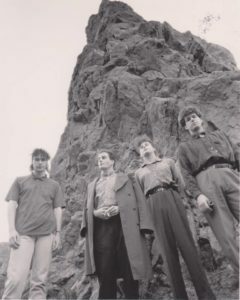 Got an email request for the early material of A Primary Industry, an incredibly underrated UK band who walked a fine line between the avant ghetto of SPK, 23 Skidoo, and A Certain Ratio and the ethereal textures of Cocteau Twins and Operating Theatre. 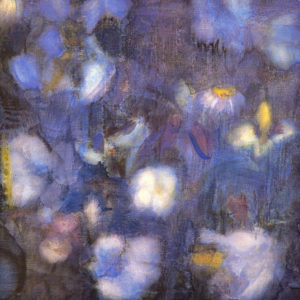 While their lone LP Ultramarine was released in 1986, there are quite a few tracks that point heavily towards the shoegaze genre that was barely a glimmer across a pedalboard at the time. 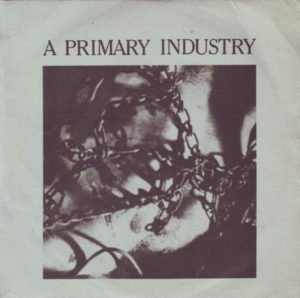 That all said, A Primary Industry released most of their material on Sweatbox, an excellent label also responsible for the like-minded In the Nursery during their earlier and more experimental phase. 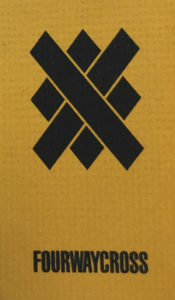 The label also released a handful of Meat Beat Manifesto records, so you get an idea of some of the wildly oscillating moods and textures that can be found across all three bands. Otherwise, once A Primary Industry ran its course, the band morphed into Ultramarine (sharing the name with API’s lone LP), who released a series of more electronic/downtempo records in the 90s, and one in 2013. 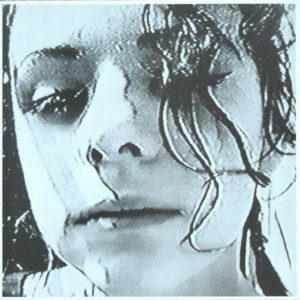 While Ian Cooper and Paul Hammond stayed on board for both projects, vocalist Jemma Mellerio left after Ultramarine’s first LP, Folk. A Primary Industry’s work has been shared before, but at low bitrates that have since been scrubbed from the internet blogosphere. As their work is some of my very favorite, it was due time to dust off my copies of these records and share them across the board. Thanks also to Jeffo! for supplying a great rip of the band’s first 7”. I’ve uploaded the band’s four main singles and excellent LP from fresh rips, but have also included a handful of compilation tracks. I can’t take credit in any way for the lower bitrate comp rips, with the exception of the exclusive track from Bark, an excellent compilation from the Sweatbox label that also features The Anti Group, Perennial Divide, Meat Beat Manifesto, and In the Nursery. Just wanted to include the other comp tracks (minus Life at the Top, as the version of “Perversion” is identical to the 7” b-side, as is the mix of “Heart of Glass” from Bark) to complete the discography, more or less. That said, if anyone has the elusive Real Time 6 compilation (or the exclusive track “Under Western Eyes”) I’d love to hear it, as that’s all we’re really missing here… Otherwise, enjoy! When’s the last time we had a video here?! With that in mind, there’s a video for “Cicatrice” (the first track of theirs I heard, and the winner among winners). Enjoy! This one is FRESH off the needle, ladies and gentlemen. Just got home to find this waiting in my mailbox, and couldn’t wait to rip and share it with y’all. Some folks may recall hearing the guitar and hook driven b-side on a previous Systems of Romance compilation, but I’ve always wanted to hear the lead track. I feared the worst, for usually when only one track surfaces from a highly coveted single, chances are that the other track isn’t really worth it. Happy to report that the a-side might be even better, though the two tracks are very similar sounding overall. 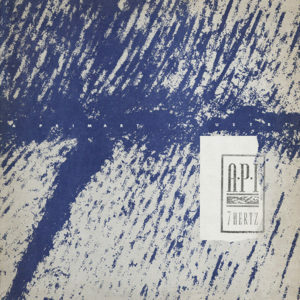 Chances are the b-side originated from this excellent compilation of German goth and post-punk tracks, as this single appears to be extremely rare. 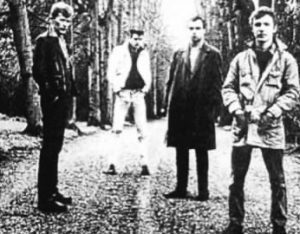 If you’re not already familiar with this band, Royal Depeche were a German post-punk band who released this one single in 1987, and were never heard from again. Though it was released much later, there are definitely 81-84 vibes all over this one, especially in the Chameleons-esque guitar lines that can be heard throughout both tracks. There are hooks galore and strong female vocals to bring the tracks home. With that in mind, hope you enjoy this one as much as I do!